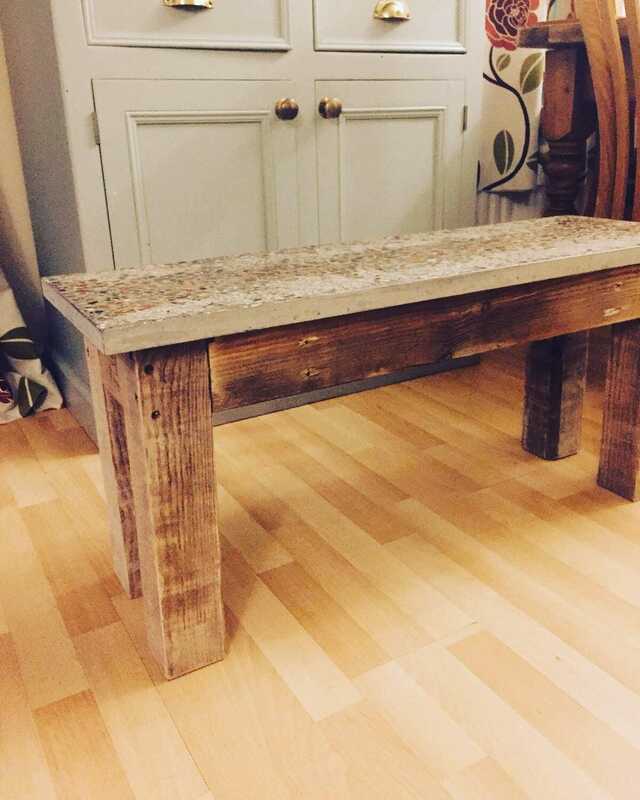 This is a wonderfully simple but beautiful rustic coffee table, side table or even bed side table. 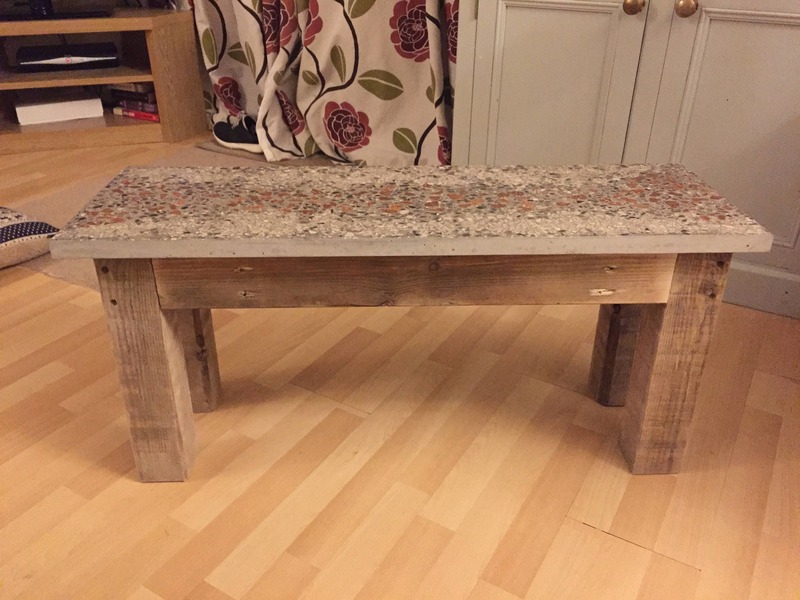 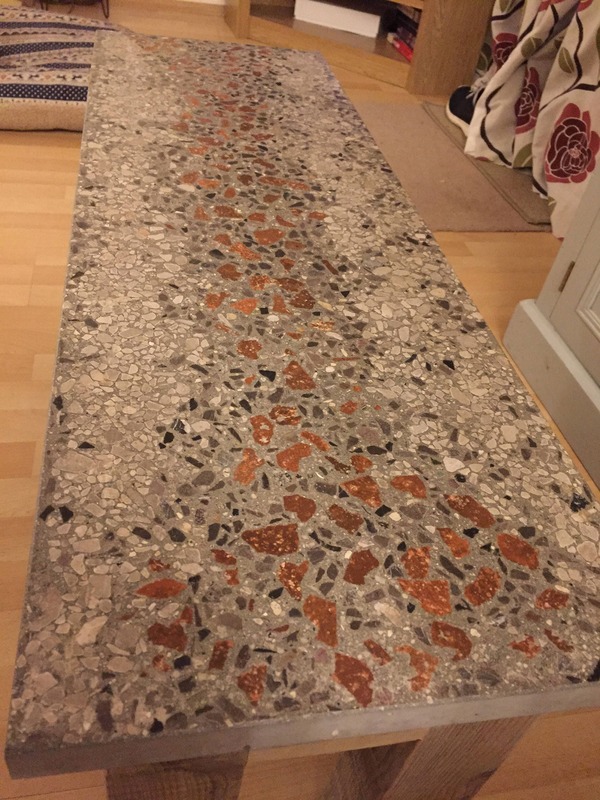 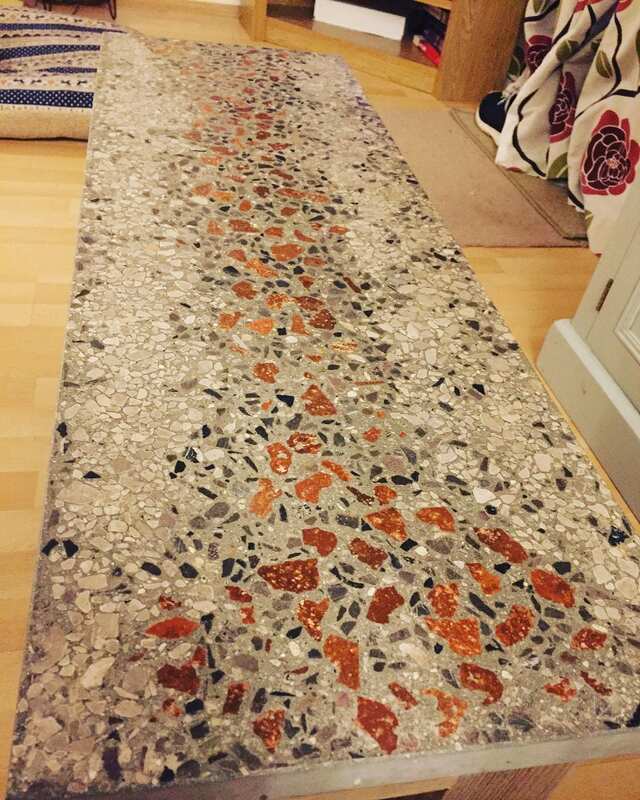 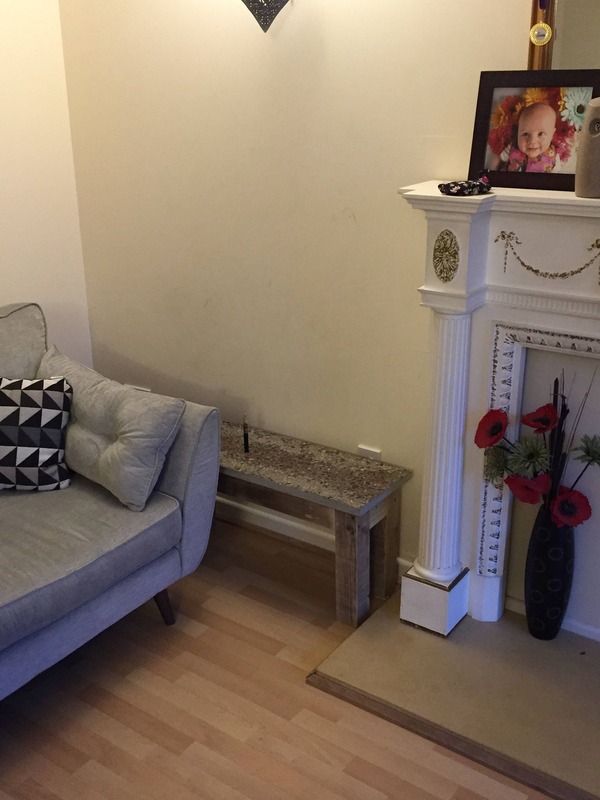 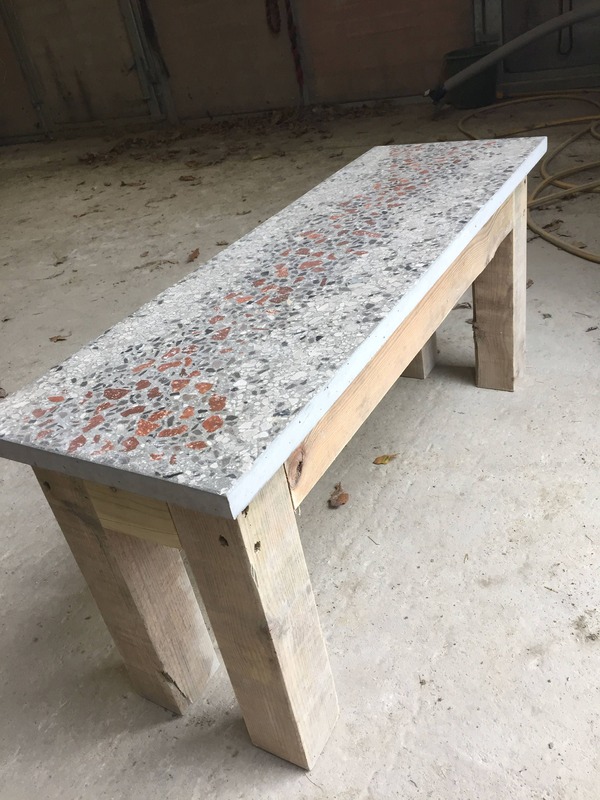 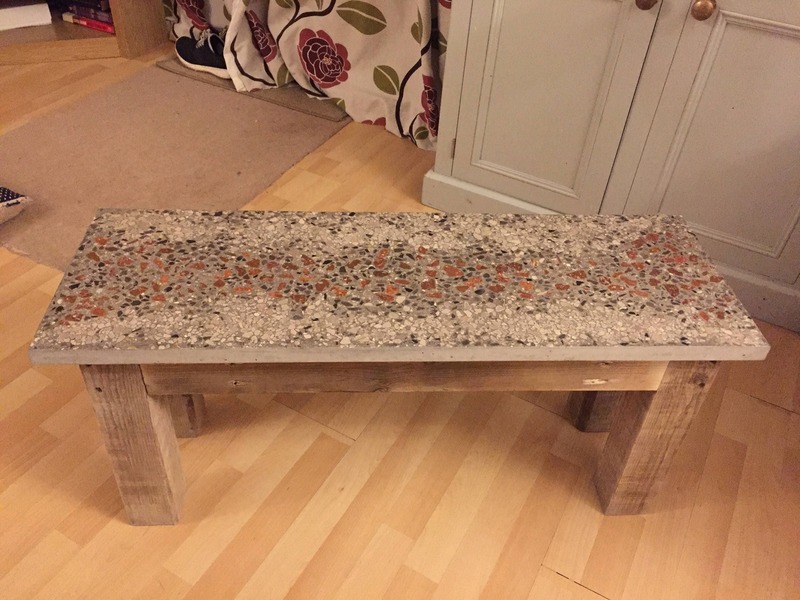 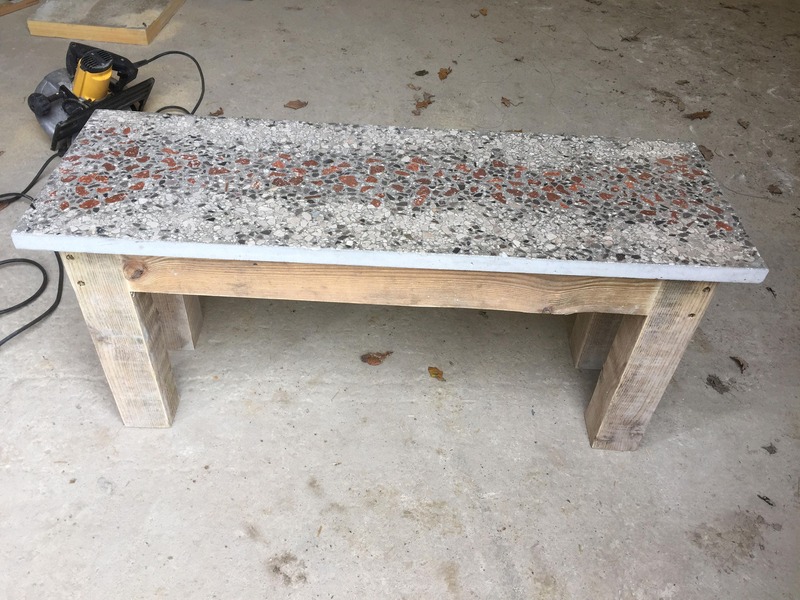 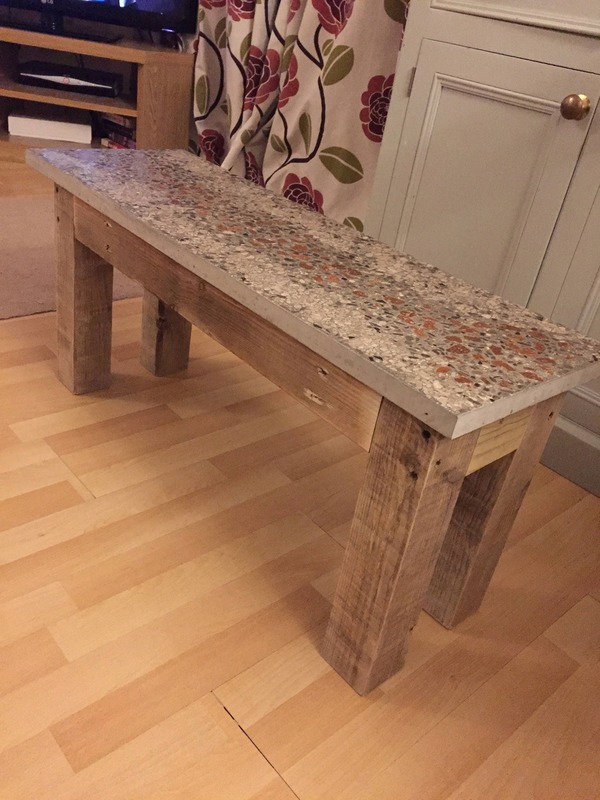 It has a stunning polished concrete top full of granite and limestone randomly positioned to create a beautiful piece of concrete art complemented by a recycled base salvaged and pieced together to create a rustic roughness yet charming table simply made but together makes a real comfortable and industrial piece for any home it really is an eye catching piece . 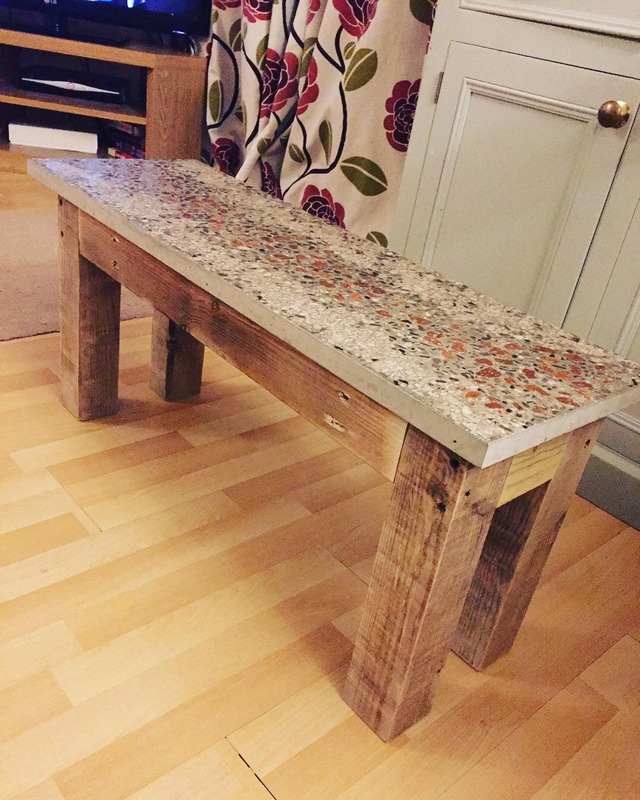 Every table is hand made and although the top is made in the same way it will always have its own pattern as its handcrafted and hand polished every time making it total bespoke, with this table base its simply made to give it, its rustic charm and we use all types of recycled wood which will always have imperfections and different tones which is the style of this table and should be seen as part of its beauty.